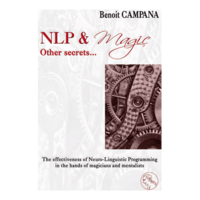 Today, when you order "NLP & Magic, other secrets by Mathieu Bich - Book", you'll instantly be emailed a Penguin Magic gift certificate. You can spend it on anything you like at Penguin, just like cash. Just complete your order as normal, and within seconds you'll get an email with your gift certificate. I find it funny how everyone in the NLP world is given accolade they don't deserve. This guy who reckons his trainer is the best in the world (I've been doing NLP at a very high level for 15 years and never heard of him) has presented a very, very, very basic book. The exercises he presents are taught in the first 2 days of a half decent NLP training and it is all incredibly basic stuff. I would highly recommend getting 'Frogs into Princes' or 'Time For a Change' by Bandler or 'Monsters and Magical Sticks'. Far better books, 100 times the info and skill and you just need to use your imagination a little to join the dots to your magic work. If the book was $9.95 I would have given it 3 stars. It is worth that. 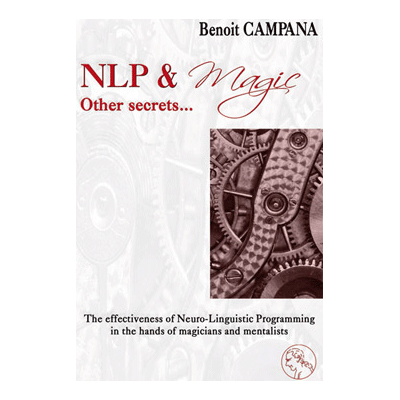 As an NLP trainer, I'm usually the first to caution others that most of what passes as NLP is totally worthless - even much of Bandler and Grinder's "original" work is largely nonsense. This book, however, is without a doubt the worst book on NLP I've ever encountered. Don't waste your money on this. 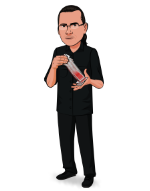 Buy a Eugene Burger book instead, it will take your magic a lot further. This book is well written,and it makes you think about the way you perform while giving you an amazing perspective!